Intensive though careful friction which minimizes wear of the individual silica grains and ensures an excellent sand quality. No need for deep pits as the sand is conveyed to the top of the crusher through the outside spiral. No moving parts in the crusher chamber. The moulding boxes are emptied on a shake-out grid. 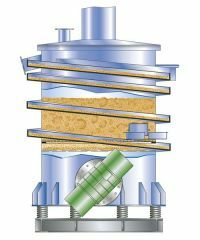 The crushed sand lumps and the loose sand are fed into the crushing chamber. 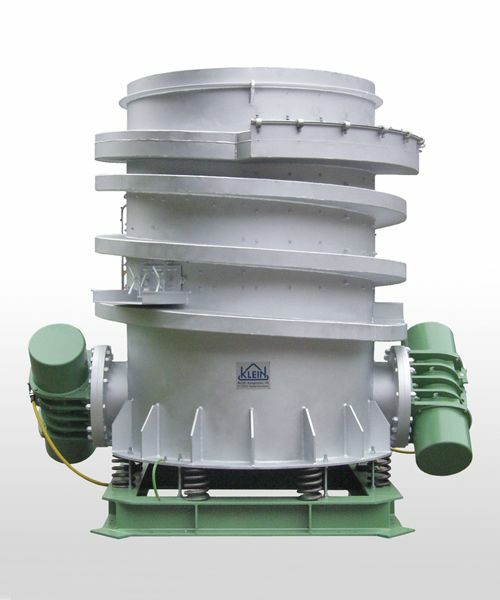 The tree-dimensional screwing movement of the spiral crusher guarantees an extremely intensive friction of the sand lumps, but at the same time careful treatment of the sand grains. Over a screen at the bottom of the crusher the sand gets into the outer spiral. 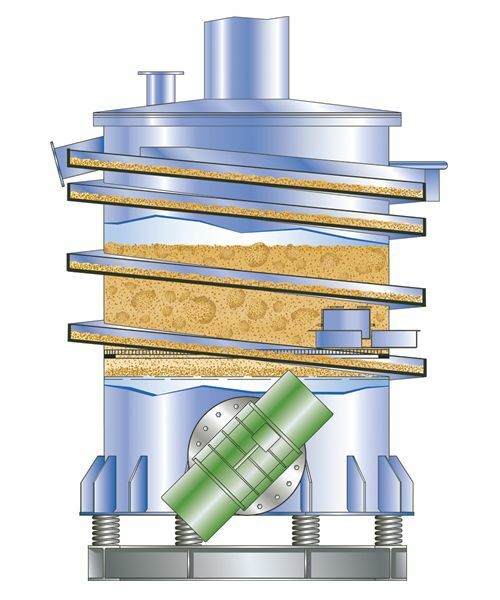 On a fine-screen segment in the outer spiral, sand and oversize grains are separated and automatically discharged resp. transported upwards for sand delivery. For further treatment of the remaining oversize grains, automatic return is possible.